It is well known that dietary fiber plays a significant role in preventing non-communicable diseases such as Cardiovascular Disease, Type 2 Diabetes, and certain types of cancers. A lesser known, but emerging fact about dietary fiber is the important role it plays in maintaining our gut health. While the entire gastrointestinal tract encompasses numerous organs, the small and large intestine are of particular interest when evaluating our gut health. The three pillars of gut health include our ability to properly digest and absorb nutrients from food, the integrity of our gastrointestinal barrier, and the composition of our microbiome. Scientific research focusing on gut health has exploded over the past few decades, and we are beginning to see how our gut health can affect the function of our immune system, our weight, and our risk for intestinal diseases. 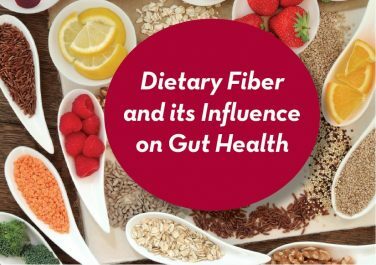 Click the link below for new a whitepaper from Bay State Milling Company that explores the the tie between gut health and dietary fiber.